I recently acquired a pair of JBL 2242 bass drivers, and, of course, they need a home. Home, to my liking, is an interesting horn. It has to be reasonably compact (compared to my spiral bass horn), have decent bandwidth, and plenty of efficiency. Hornresp, being the godsend that it is, predicts that this driver will work wonders in a combination enclosure--in this case, horn/bass reflex. 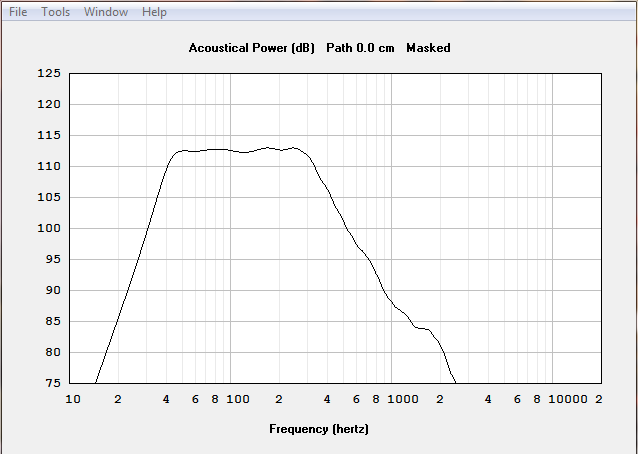 As you can see, the predicted SPL response is about 3 db down at 40 hz. and begins its upper roll off a tad bit before 300 hz. 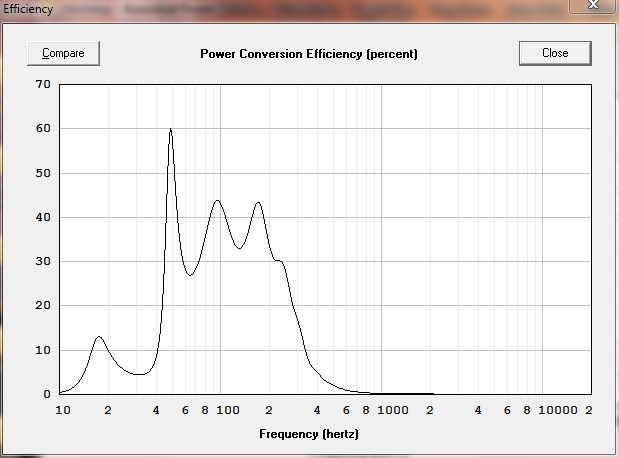 Notice that the SPL for one watt input is a healthy 113 db! Beings that it covers the second through forth octaves, it has to be capable of delivering a powerful bass line. 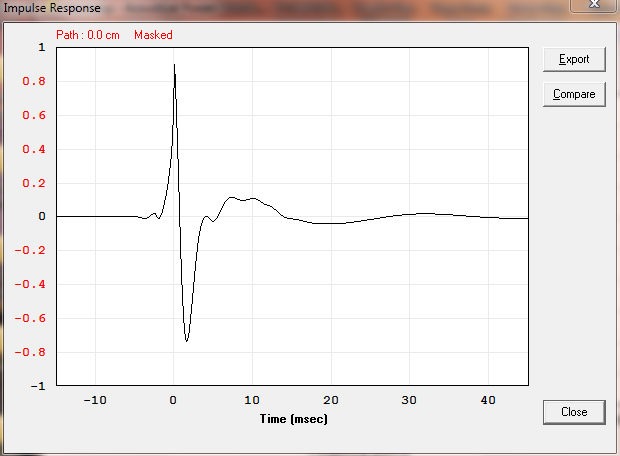 Here's the impulse response. It's also a good idea to have efficiency on your side. 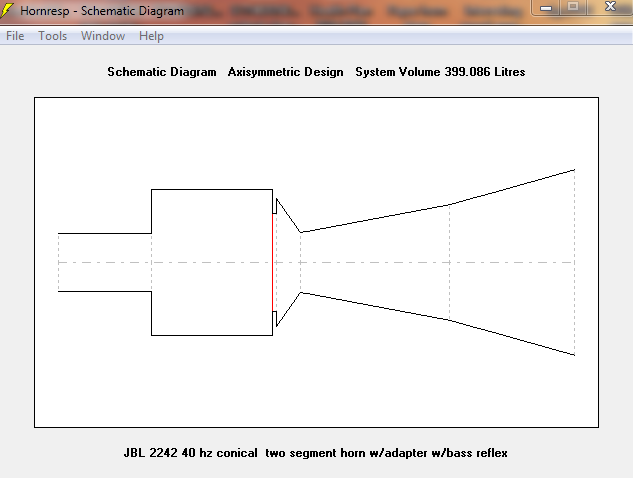 When you port the compression chamber, the horn generally sacrifices efficiency for extended bass. This is the case here, but not to the degree that one might imagine. 30 to 40% is considered quite good, with 50% being supreme. 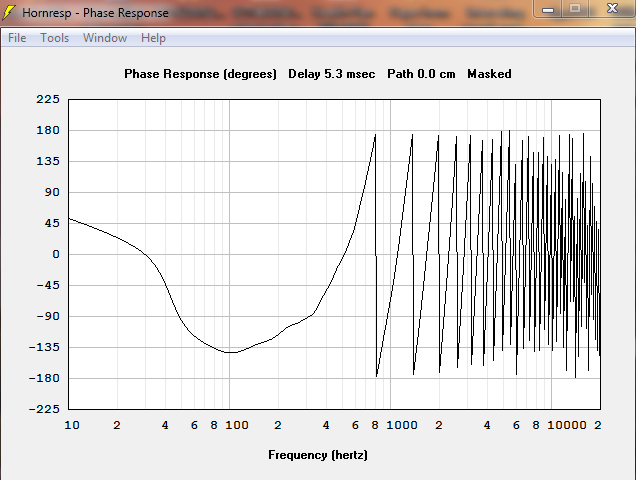 Then there's the matter of phase response. 90º (in the desired bandwidth) is considered acceptable, and it needs to be smooth. 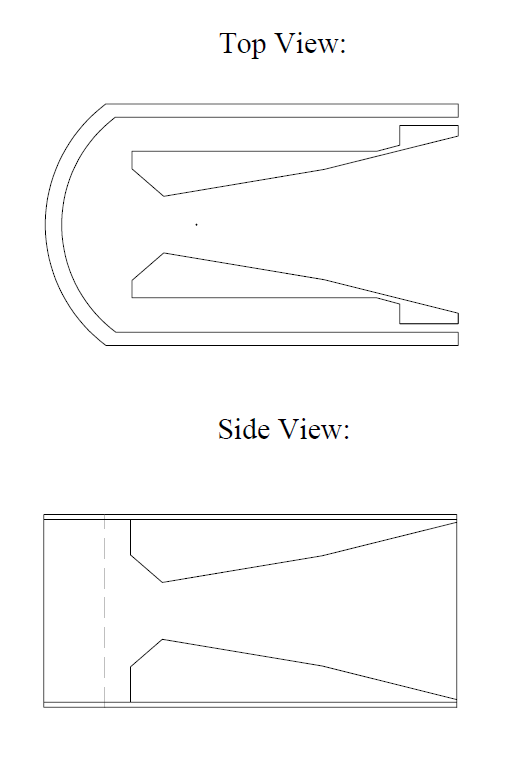 I'll be designing the physical layout for this horn in the near future. From what I can tell, it will rock the house. I'll keep you posted. Basically, what I plan to do is CNC cut layers of plywood, or OSB, and glue/stack them together. 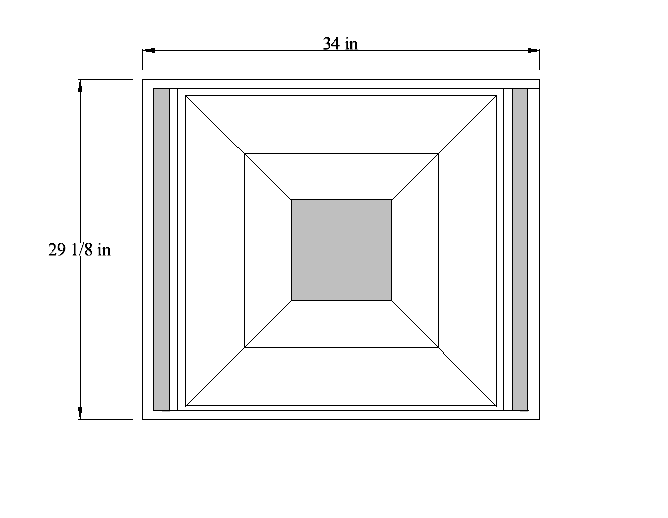 I can ship the unit unassembled for the DIY type. The entire back of the horn will be removable for driver access.